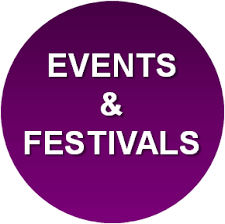 Saskatoon Events for May 2017 - Slade Real Estate Inc.
Saskatoon has plenty of events and festivals to keep you busy. No matter what your interests, there is something for everyone. 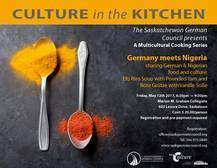 I am happy to provide a schedule of these events for May 2017 in Saskatoon, your city to call home. 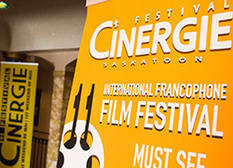 The 12th Cinergie Film Festival invites all cinema lovers and families to enjoy 6 great days of French-speaking movies from all around the world, all with subtitles. Admission: $10 adults; $5 16 & under; $40 full festival pass. Please join four Saskatchewan authors for a rousing evening of telling stories and storytelling. Harold Johnson, Candace Savage, Guy Vanderhaeghe, and Bill Waiser will read from their work, along with several READ Saskatoon clients who have their own stories to tell. Shelagh Rogers, the CBC’s The Next Chapter host, will oversee this celebration of literacy and the power of the written word. 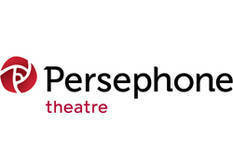 All proceeds from this fundraising event will go to READ Saskatoon. A weekend of free walks led by volunteers to learn, explore and tell stories about our communities, and to connect with our neighbours. This is a global movement inspired by urban activist, journalist and author Jane Jacobs. Walks are about 1- 1.5 hrs long and happen throughout the weekend at various locations. This year’s walks include Off-Leash Dog Parks, Northeast Swale, Early Saskatoon, 21st Street, Bringing Life to Residential Roadways and many more. Location: Throughout the city. See website for locations. Join the Saskatchewan Science Centre outreach team at the Western Development Museum for some extra activities while you visit Quantum: The Exhibition as part of the Canada 150 Celebrations! This week we’ll be making planes that fly without wings! 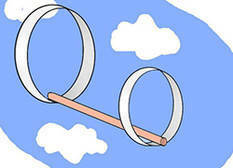 Come out from 9am-4pm to make a hoop plane – a plane that uses rings instead of wings! 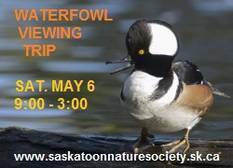 Saturday, May 6 9:00 AM-3:00 PM Waterfowl Outing to Dundurn area We will drive to either Brightwater marsh or Blackstrap Lake near Dundurn to look for ducks and geese. Meet at the NW corner of the parking lot for the Centre mall at Circle and 8th. Bus: Route 50 Lakeview departs U of S campus at 8:23 AM and arrives on 8th St adjacent to mall about 8:35 AM. Route 8/84 departs downtown terminal at 8:16 AM and arrives on 8th at mall about 8:30 AM. Leader: John Patterson (306-249-0468). The Break the Barrier Mental Health and Addictions Fun Run/Walk seeks to reduce the stigma associated with Mental Health and Addictions while also raising awareness and promoting the benefits of being active, setting training goals and eating healthy in assisting in recovery for those affected by mental health and addictions issues. 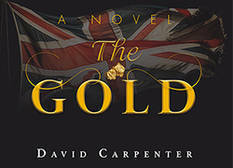 Join local Saskatoon author David Carpenter for the launch of his new historical novel, The Gold. Madness erupts at your not-so-typical hair salon when the famous pianist upstairs is mysteriously murdered and any number of colorful characters is suspect. Now it’s up to you, the audience, to outwit the suspects and catch the killer in this wildly popular comedy that has entertained millions worldwide. Your admission price will not only get you in the door to enjoy all the entertainment and displays but also will include a china service – buffet style, full course meal with your choice of dessert! From the moment you walk in the main doors to the time you leave in the early hours of the morning, you will be delighted with the sights, sounds, and tastes of Ukrainian culture! Begin your evening with a stroll through the garden pathway and discover the unique artwork created by various artists of Ukrainian descent. Relax over a cup of coffee in Cafe Kyiv and enjoy the company of close friends and new acquaintances as you are entertained by wandering minstrels. Then head into the main hall and enjoy the dinner entertainment while you feast on your full-course Ukrainian meal complete with vareneky (perogies), cabbage rolls, plus dessert – you may even decide to have seconds! And once you are finished eating, prepare to be entertained by our headlining performers before you dance the night away. Just one more thing … no Ukrainian evening is complete without a Kolomeyka! Whether you have attended Vesna in the past and intend to meet up with old friends or you are coming to the festival for the first time, we know you will have an experience to remember! Come take a walk with the dinosaurs, explore the science of dark matter, design your own rockets and LEGO robots and be amazed by chemistry magic! Fun for the whole family! Geology & Biology Buildings: Hands-on activities, Chemistry Demonstrations, Rocket Launches in the Bowl & Design Challenges. Science Odyssey’s marquee event Science Rendezvous celebrates its 10th annual event in 2017. This free national festival has over 300 events occurring across 30 cities with 1000’s of mind-blowing activities. 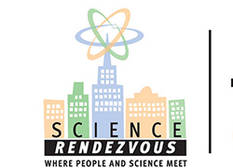 Science Rendezvous is Canada’s largest celebration of the amazing feats of science and engineering happening right here at home. Free for you, something for everyone at Science Rendezvous! For 6 days every May, Wild About Saskatoon host the annual NatureCity Festival – A community driven event celebrating urban nature & culture hosted in collaboration with local organizations. 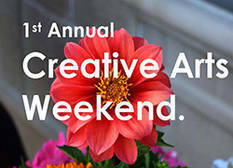 With 50+ events throughout the city, this festival truly has something for everyone. Take in our keynote speaker, guided nature walks, star gazing, outdoor yoga, kids activities, and so much more! 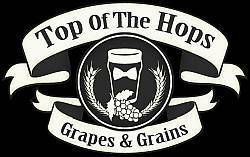 Top of the Hops, hosted by POW City Kinsmen, is one of Saskatchewan’s, largest tasting event showcasing beer, wine, spirits, liqueurs and food. All proceeds from this event go back into “serving the communities greatest need.” Savour the flavor with the P.O.W. City Kinsmen. Come for spirits alone or dinner and samplings. This is our largest event ever; rare spirits, fine wine, crisp beer and great camaraderie! Be there. Join the Saskatchewan Science Centre outreach team at the Western Development Museum for some extra activities while you visit Quantum: The Exhibition as part of the Canada 150 Celebrations! 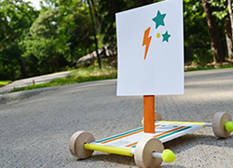 This week we’ll be building small cars that move using the wind – just like the Wind Car in the museum! We’ll be out from 1pm-5pm on Friday, and 9am-4pm on Saturday. Will your car be a prototype for the future? Time: Friday 1:00 p.m.-5:00 p.m. Saturday 9:00 a.m.-4:00 p.m. 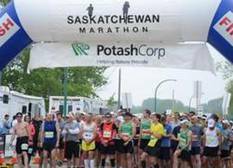 The 39th Annual Saskatchewan Marathon – Presented by PotashCorp and hosted by the Saskatoon Road Runners Association – is taking place in Saskatoon, Saskatchewan on Sunday, May 28, 2017. The 2017 program features a Marathon, Half-Marathon, GoodLife Fitness 10KM Race, 5KM Race, and a Marafun run for kids. 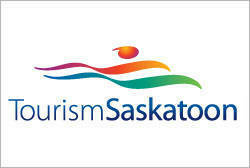 The Saskatchewan Marathon is sanctioned by Sask Athletics and is a qualifier for the Boston Marathon. Address: Throughout the river valley within the city. 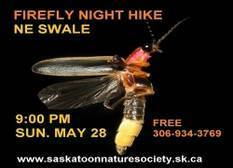 Sunday, May 28, 9:00 PM – 10:30 PM Firefly Night Walk at NE Swale. We will listen for the calls of the night birds and watch for fireflies. Meet at the swale on Lowe Road. Drive north on Central Ave, turn right on Fedoruk Drive (or Agra Road), turn left onto Lowe Road; NE Swale is next to the slough on the east side of road before reaching the Saskatoon Wildlife Federation building. No Bus service. Leader: Marten Stoffel (306-934-3769). Time: 9:00 p.m. – 10:30 p.m. I hope you and your family can get out to take in some of what Saskatoon has to offer this May.